The Trump nominee's positions on abortion and presidential authority have made headlines. But his ruling on internet access could hurt many Americans, too. Most critiques of the nomination of Judge Brett Kavanaugh, President Donald Trump’s nominee to replace Justice Anthony Kennedy on the Supreme Court, focus on his positions on a woman’s right to choose, his extreme deference to presidential power or his views on sensible gun laws. But, as the Senate Judiciary Committee begins its hearings on the nomination, let me add: His decided opposition to net neutrality and any oversight of big broadband and cable companies like Comcast, AT&T and Verizon represent another incredibly problematic aspect of his judicial rulings that could have a broad impact on Americans for decades to come. And, unlike issues like abortion, where Kavanaugh has never issued an opinion to which he might easily be held to task, he made his views on the 2015 net neutrality rules unambiguous in 2017. In a long dissent when the full D.C. Circuit Court of Appeals declined to even rehear opponents' arguments that the Federal Communication Commission didn't have the right to regulate broadband providers as "common carries," Kavanaugh made it clear that he believes that big broadband and cable companies should be able to control your internet experience as they see fit. 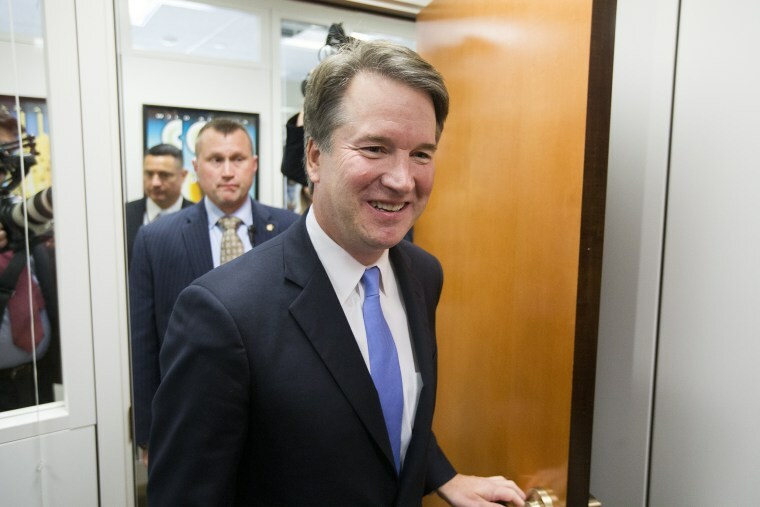 First, Kavanaugh stated that, because the net neutrality rules and the FCC’s decision to classify broadband providers as common carriers were “one of the most consequential regulations ever issued by any executive or independent agency in the history of the United States,” they were what he called “major rules” that need express and unambiguous Congressional authority, which he finds lacking. But Kavanaugh’s arguments were significantly flawed. The Supreme Court really hasn’t adopted a “major rules” doctrine — he cobbled one together from bits and pieces of law review articles and examples from prior cases. His theory on "major rules" also directly contradicted Supreme Court precedent: In a 2005 decision, the court ruled that the FCC has the discretion to decide how and under what part of the Communications Act broadband providers should be regulated. And conservative hero Justice Antonin Scalia said in a dissent to that decision that the Communications Act was clear and unambiguous that broadband providers are common carriers that are barred from engaging in discrimination. Second, Kavanaugh's dissent espoused a radical view of the First Amendment which, not surprisingly, favored broadband and cable providers and ignored your right to a free and open internet. Kavanaugh first argued that companies (which provide nothing more than an on-ramp to the internet) should have the same First Amendment rights as newspaper publishers — that, essentially, their right to choose to slow down or speed up the parts of the internet you might access are on a par with the right to a free press or your own speech to be unlimited by government interference. Further, he argued that the government’s interest in ensuring an open, free and non-discriminatory internet for all Americans is not a substantial one that justifies the net neutrality rules — in other words, that there's no reason the government should want to protect the free and open internet more than your broadband and cable company’s ability to decide what you see. The fact of the matter is that there are nearly 50 years of Supreme Court precedent suggesting that the public’s right to speak and be heard is preeminent when weighing First Amendment rights in communications media. And, in the absence of net neutrality, companies can clearly limit the rights of their customers to communicate in the online space. According to Kavanaugh, the only way the net neutrality rules could be justified under the First Amendment would be if broadband providers have “market power.” But he believes that there is “vibrant competition” in the market for internet access, and as a result, the rules are unconstitutional. Many Americans, who have but one broadband choice, could have told him that isn't true. The FCC’s own numbers show that Americans in more than 40 percent of census blocks have a “choice” of just one broadband provider and, in more than 70 percent of census blocks, there is a choice of no more than two. What’s most dangerous about Kavanaugh’s views on government oversight of corporations and the First Amendment is that they threaten most, if not all, constraints on broadband internet access providers’ anti-consumer and anti-competitive behavior. Broadband privacy rules wouldn’t likely pass the test laid out by Kavanaugh in his dissent; likely neither would an FCC prohibition against broadband providers throttling first responders, which Verizon did to the Santa Clara County Central Fire Department during the Mendocino Complex fire, the largest in California history. While Kavanaugh’s views are already far outside of the mainstream from his current perch, there is reason to be very concerned about what could happen if he is confirmed to the high court. A Supreme Court with Kavanaugh and Neil Gorsuch will tilt to the far right, where eliminating sensible protections for consumers and competition, as well as giving cable and broadband providers the same constitutional rights as ordinary Americans, could become the norm in the not too distant future. Among the factors that ought to disqualify Kavanaugh from confirmation, this one shouldn't be ignored in the hearings. 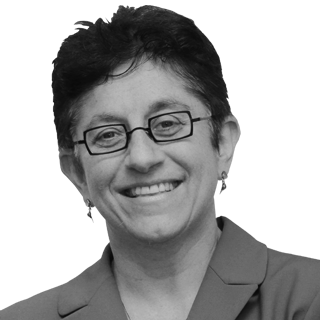 Gigi Sohn is a Distinguished Fellow at the Georgetown Law Institute for Technology Law & Policy and the Benton Foundation Senior Fellow and Public Advocate. She was Counselor to former FCC Chairman Tom Wheeler from November 2013-December 2016.